Would your primary school like a free set of magnifying microscopes? Rotary Clubs are donating a set of magnifying microscopes to primary schools. 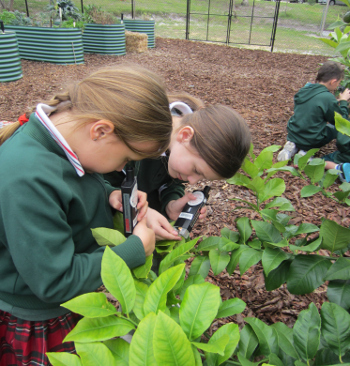 The microscopes can be used from kindergarten through to year 6, in a wide variety of learning areas, including arts. The resource booklet “Under the Microscope with Waterwise Schools” contains teachers notes for using the microscopes in class, including a variety of activities focussing on the use of microscopes, plant adaptations to water supply, plant structure and soil composition. (Your school does not need to be a part of Water Corporation’s Waterwise programme in WA to receive a set of microscopes). For schools in metropolitan Perth, Water Corporation will provide a free lesson (incursion) at your school to show students and teachers how to use the units. You can book your 1 hour “Microscopes” incursion for years 3-7 online. Does your school already have a set of microscopes? Please complete a survey to provide us with feedback about your experience with the microscopes and how we can best support your use of them. South East Regional Centre for Urban Landcare Incursions and Excursions: Students have the opportunity to observe the little creatures which live in our waterways up close and personal. Using information and knowledge gained, students help to identify the health of the waterway. Students are also given the opportunity to seek outminibeasts which live on land by undertaking a special ‘Minibeast Hunt’.